As the high-octane launch to the fourth annual VanMan Male Choral Summit, Chor Leoni presents the GRAMMY-adorned vocal giants Take 6 on Friday, April 6, 2018 at 8pm in the Queen Elizabeth Theatre. Bringing audiences to their feet with breathtaking renditions of iconic works from Ben E. King’s Stand By Me, to Pharrell’s Happy, the most-awarded a cappella group in history will make their Vancouver debut. 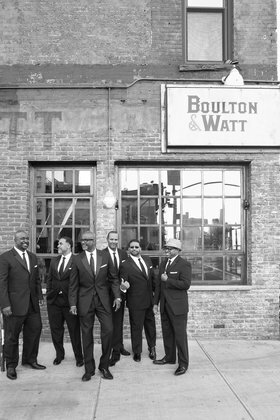 The multi-platinum selling ensemble led by founder Claude McKnight (elder brother to Brian) promise to “bring down the house” with their signature blend of gospel, jazz, R&B, and pop. Heralded by Quincy Jones as “the baddest vocal cats on the planet,” this virtuosic sextet will charm new fans with their crisp harmonies, swinging rhythm, soulful swagger, and an unmistakable rafter-raising sound.